Chemglass GSK-0206-181H 50mL Funnel Addition PTFE Stopcock . New Life Scientific, Inc. 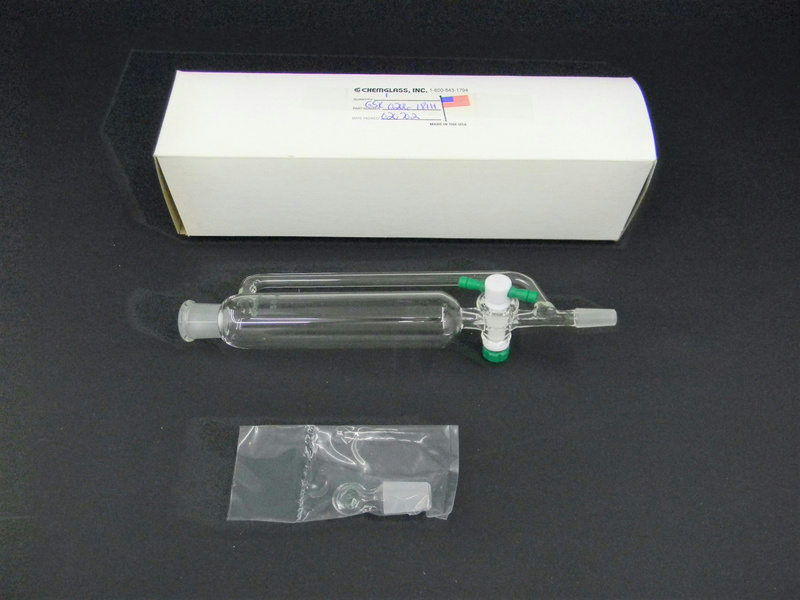 This is a new in box addition funnel that was acquired from a US pharmaceuticals lab. There are no visible cracks or chips to the glassware that would hinder its efficacy. and PTFE stopcock, supplied with a stopper.